PowerPoint 2003: Part II is one of the great eBooks available to download from our website. Part II of this user’s manual begins with explanations of how to insert tables in your PowerPoint presentation and enhance these with formatting. Topics also covered include charts and graphs, slide masters and templates, and transition and animation effects. Lastly, the manual offers useful pointers for rehearing and running a slideshow with automatic timing and custom shows. Full color diagrams and screen-shots are included alongside textual descriptions for easy reference. 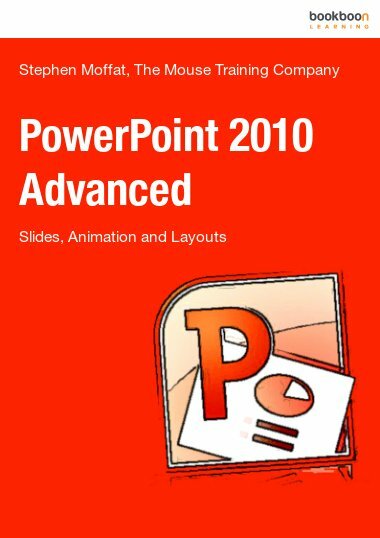 Users who want an introduction to PowerPoint fundamentals should refer to the free PowerPoint 2003: Part I e-book, also available on bookboon.com.